We hear celebrity wedding bells! 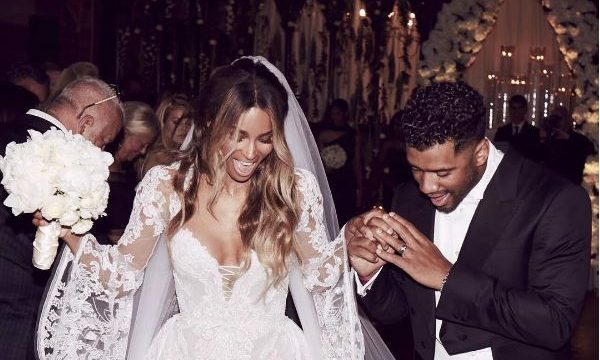 Ciara and Russell Wilson got married yesterday, at Peckforton Castle in Cheshire, England. According to EOnline.com, the celebrity couple got engaged this past March and have remained celibate throughout their celebrity relationship. Wilson recently said, “For me, I knew that God had brought me in her life to bless her and for her to bless me. We’re not going to be perfect, by any means. But He’s anointed both of us and He’s calling for us to do something special.” In celebrity news, their wedding guest list included stars like Serena Williams, Lala Anthony, and Kelly Rowland. This celebrity wedding took place in England! What are some benefits to a wedding abroad? 1. Smaller guest list: If it takes a plane to get to your wedding, there will definitely be people that can’t make the trip. You can create a more intimate celebration by inviting a small circle of friends. Your guest list doesn’t have to be extensive to make for a grand wedding. 2. Honeymoon: You can make a vacation out of it for you and your partner. The wedding can lead directly into the honeymoon as you embark on your journey together. Some of your friends and family might even stick around an extra week to catch some rays themselves. 3. New experience: Destination weddings are unique and exciting. Much like studying abroad in college, it’s something you wont forget. It’ll feel like you’re taking a celebrity vacation. Would you have your wedding abroad? Comment below!